Fieldvue™ DVC6200 digital valve controller with linkage-less, non-contact feedback technology. New Fisher® instrument is available in an explosion-proof package and with HART® or FOUNDATION™ fieldbus protocols. Emerson Process Management has expanded its FIELDVUE™ instrument product line with the DVC6200 Series digital valve controller, featuring linkage-less, non-contact feedback technology. The FIELDVUE DVC6200 instrument was designed for applications that experience high levels of vibration, corrosion, or material entrapment. The linkage-less, non-contact feedback technology improves reliability by eliminating linkage wear. The FIELDVUE DVC6200 instrument has undergone electro-magnetic compatibility (EMC) testing to meet IEC standards and will ship with the CE mark. It is available with either the HART® or FOUNDATION™ fieldbus communication protocols. Orica Mining Services put the new device to work in its Kooragang Island facility in New South Wales, Australia. Orica, a leading supplier of commercial explosives and blasting systems for the mining and construction industries, is a long-time user of Emerson Process Management products. The Orica facility at Kooragang Island is the second-largest in the world producing ammonium nitrate. The Kooragang site has standardised on Fisher® valves with FIELDVUE instruments. The plant also uses Emerson's 375 Field Communicator and AMS™ Device Manager with ValveLink™ SNAP-ON™ application software as part of its calibration, valve-monitoring, and predictive maintenance system. Orica personnel worked with the local Emerson office to improve the performance of a Fisher valve in liquid ammonia service. 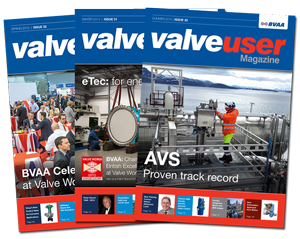 The valve's high-cycle service conditions and the ammonia atmosphere in which it operates represent one of the most severe environments in any process plant. Emerson engineers recommended the new FIELDVUE DVC6200 instrument with linkage-less, non-contact feedback technology for this harsh application. Fielding said he appreciates Emerson’s continued investment in technology and product enhancements. “The reliability of the FIELDVUE DVC6200 instrument, plus its on-line monitoring capabilities, enables our operators to avoid manual checks and valve repairs in areas filled with ammonia vapours,” he said. Since installing the device, Orica has not experienced any production losses due to valve failures. “This single instrument application has saved us thousands of dollars,” Fielding said. Orica plans to order 30 Fisher valves with FIELDVUE DVC6200 instruments for an upgrade at its Kooragang ammonia plant.